103 million Americans adults have high blood pressure, but only half of those individuals have their condition under control. High blood pressure is when your blood pressure (the force of the blood flowing through your blood vessels) is consistently too high. Uncontrolled high blood pressure can lead to heart failure, heart attack, stroke, vision loss, kidney disease, and even death. However, people with high blood pressure can create a treatment plan with their doctor that can help reduce their risk for heart attack, stroke, and other HBP-related health issues. 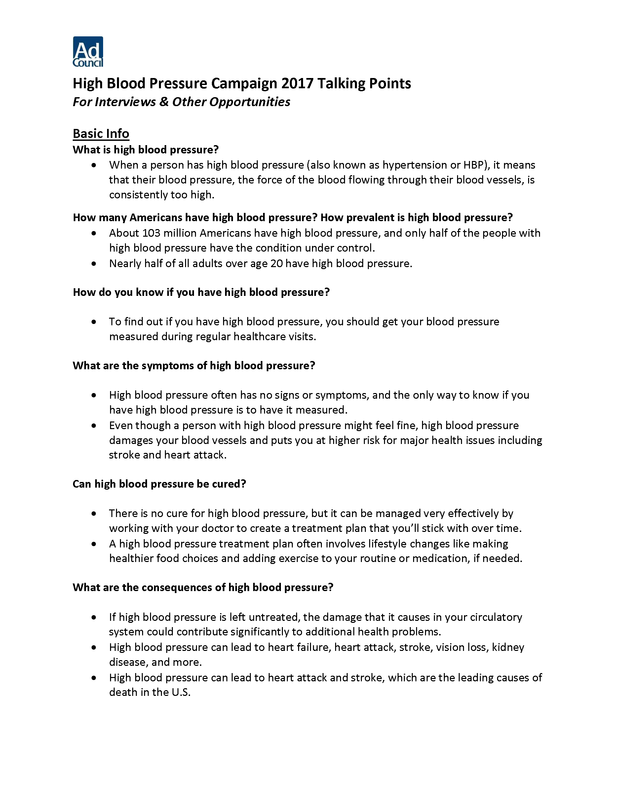 Help raise awareness of the benefits of controlling high blood pressure and encourage people to learn more at LowerYourHBP.org. 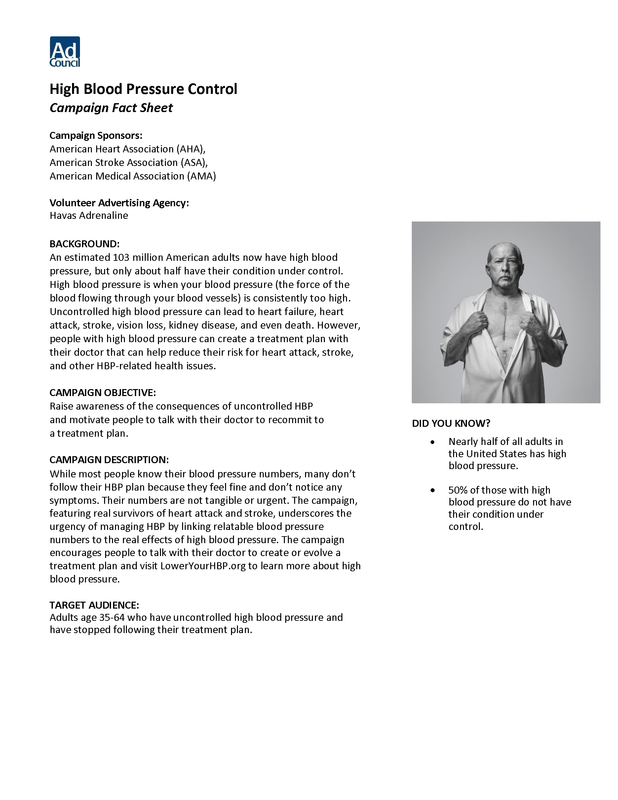 Review this document to familiarize yourself with key facts, statistics, and information about the issue and the campaign. 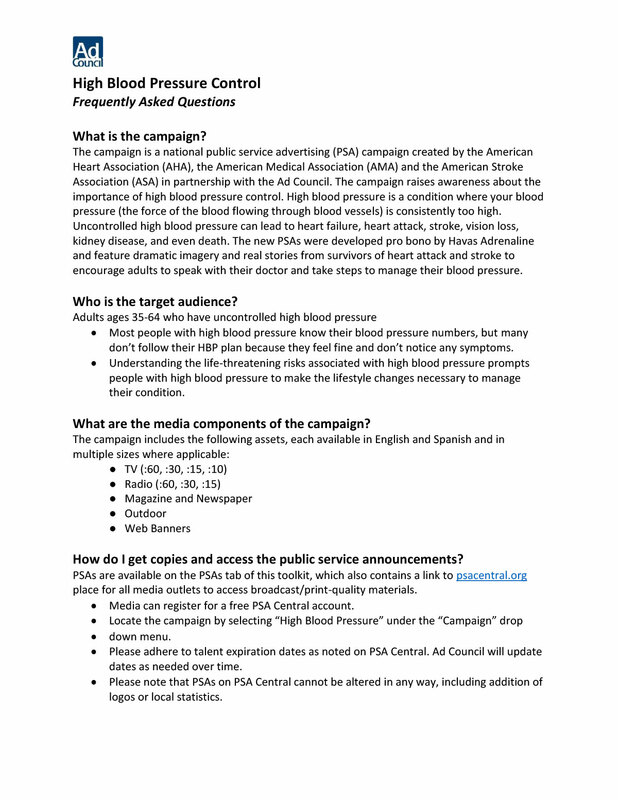 Learn the answers to some of the most frequently asked questions regarding the campaign.